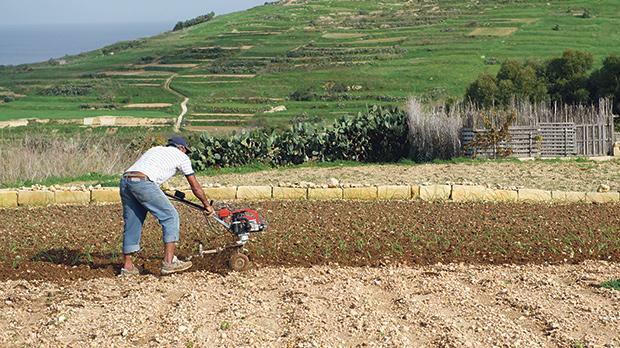 Weak food production management, an exodus of farmers, agricultural land given over for other uses, stiff competition from imported produce, a diminishing water table… the situation in agriculture in Malta is dire, according to an expert. Malcolm Borg, head of the Centre for Agriculture at Mcast, believes farming is economically unsustainable at this rate and in just 15 to 20 years, there may no longer be any local crop growers around. 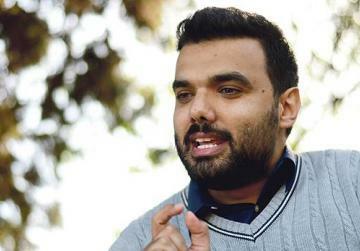 Citing fodder as an example of poor management, he says that despite 60 per cent of Malta’s agricultural land being dedicated to the cultivation of fodder, the island still relies heavily on its importation as food for livestock. Most of the locally grown fodder is used for bedding, and only a small portion of it ends up in the diet of our livestock. Mr Borg, deputy director of Mcast’s Institute of Applied Sciences, notes that the economic sustainability of all agricultural sectors – from fruit to vegetables and pork to fish – is weakening. The only two stable sectors are egg and milk production, with the latter boasting a successful centralised management system. Farmers themselves doubt the viability of local food production. Some have told this newspaper that they are cutting down on their full-time farming job and looking for other means of income. Yet “farmers who call it a day are not being replaced by anyone willing to take the job,” Mr Borg said. “The number of students taking up horticulture is minimal. We get two to three new students every year. It is not just farmers that are in decline, the very land they till appears to be coming under increasing pressure: while it is very expensive for budding farmers to rent agricultural land, established ones have started to prefer to sell or rent theirs for other purposes. Some are considering investing in solar farms on their fields. Others lease it to people who want to spend their free time in the countryside. One of the things that increasingly disheartens local producers is the competition from imported produce. Before Malta’s EU accession, levies on foreign imports indirectly protected the Maltese product, with local producers earning a sufficient income to make a living. With the onset of foreign competition, some farmers shifted to high-value crops like strawberries. But an increase in supply and intense local competition has dealt this industry another blow. Other farmers built greenhouses to grow produce such as tomatoes out of season. But the competition from foreign imports soon caught up. Sadly, the alarm bells seem to be ringing only among farmers, with government after government promising to reform the Pitkalija to increase traceability and ensure sustainable market prices. “We were once nearly completely self-sufficient, but now all food production sectors are unsustainable. Have we ever thought of a policy through which we could provide a good supply of protein to the Maltese?” Mr Borg asked. Even when it comes to fish, which is one of the most efficient proteins that can be bred locally, in the Maltese market, it is nearly all exported: tuna is sold in Japan and seabream in Italy. “Malta is situated in a turbulent geopolitical region, and we need to ensure we can provide food for the residents independent of the imported product. But in Malta, even the tools needed for food production are in peril. The lack of a centralised cohesive strategy for water has seen overextraction of the water table. This resulted in increasingly salty water that is detrimental to crops. Mr Borg added, however, that now that the boreholes were metred, a clearer picture of how much water is actually needed and used would emerge. “Farming was one of the major sectors that contributed to the water problem and is now the major sector that is being negatively affected by it,” he said. The perception that local produce is contaminated with chemicals could well act as another nail in the coffin for farmers. But the good news for consumers is that most growers actually use them sparingly, according to Everaldo Attard, an expert in plant health and agricultural chemistry. The perception that local fruit and vegetables are contaminated with chemicals is wrong, says expert Everaldo Attard. For instance, a local strawberry grower has introduced harmless insects in his fields to fight off pests and avoid using insecticides. Other growers are plucking out weeds with their own hands instead of spraying herbicide, as farmers increasingly opt for cleaner crop management. Contrary to what many seem to believe, the majority of farmers only use insecticides and herbicides sparingly and when needed, the Prof. Attard told this newspaper. The increasing frequency and quantity of pests brought over with foreign imports since Malta joined the EU, as well as the broadening of free trade, have seen farmers scramble to find harmless ways to control pests. Free movement introduced several pests in a short time – something that local growers were not ready for. Before that, the introduction of pests was gradual, and farmers were better able to control them through preventive measures. 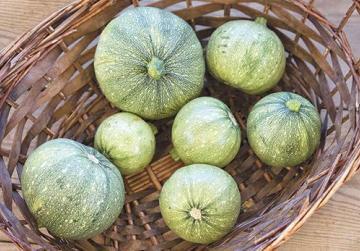 Unfortunately, local produce has been negatively impacted by media reports and some perceive Maltese fruit and vegetables as being contaminated with chemicals. Prof. Attard, who sits on the National Hub for Ethnobotanical Research within the President’s Foundation for the Wellbeing of Society, says that for him it is not a black and white issue: “There are some abusers, some very genuine farmers and others in between. There were a handful of farmers who abused pesticides, but the news tarnished the rest of the farmers,” he said, calling for more awareness among the public. If there were any toxicities, farmers as the frontliners would be the first affected, so they are very cautious when applying chemicals to their crops, Prof. Attard continued. Insecticides and herbicides are also costly, so farmers use them only sparingly and when needed. Farmers ensure that spraying does not take place on windy days, as chemicals cannot only be blown onto other crops but they can also kill the bees that pollinate their produce.